Salaam Buddy! Today we share Collateral – Create Notifications v5.1.1-5 for Android. We hope you enjoy our site and come back for future updates and share our website with your friends. Visit this link & Get the latest Mod Apps/Games updates in your mailbox. You can also connect with us on Facebook & Google+. 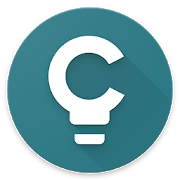 Here you'll download Collateral – Create Notifications latest version for Android. This app is listed in the Productivity category of the Play store. You could visit Genepaul Vargas's category to check others games/apps by developer. We serve original & pure apk files from the Internet.